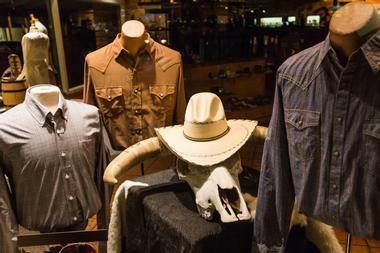 Nashville, the “Music City,” can become hot and expensive during the peak summer season. The heat and humidity in Nashville can be very uncomfortable for tourists trying to enjoy the attractions. Hotel room rates are at their highest in the summer. Winters are cold in Nashville with daytime temperatures often staying below freezing and there can be occasional snow. The spring months between March and May and the fall months of October and November are the best times to visit Nashville. The weather is pleasant and there are not the crowds that you’ll find during the summer. Room rates are at their lowest in winter, but are affordable during the spring and fall. Nashville weather in Jan: January is the coldest month of year in Nashville with an average high temperature of 47°F (8°C). The average low temperature sinks to 28°F (-2°C) resulting in the most snowfall of the year at 3 inches (8 cm). Nashville receives the least amount of sunshine annually at 123 hours. 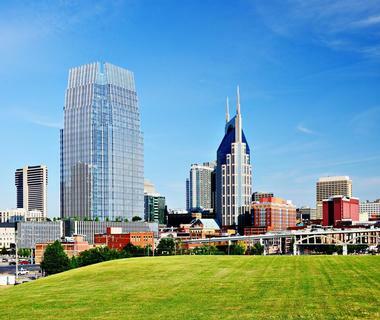 Nashville weather in Feb: In February, the temperatures increase to 52°F (11°C) for an average high temperature. However, the average low temperature also increases a few degrees but remains at a freezing level of 32°F (0°C). Nashville Weather in March: The last snowfall of the year comes in March, the first month of spring, and averages at 1 inch (3 cm). March also sees quite a jump in temperatures with the average high and average low temperatures ranging between 61°F (16°C) and 39°F (4°C). April sees another considerable leap in average high and average low temperatures. High temperature averages are 71°F (21°C) while low temperature averages are 47°F (9°C). In May, spring is on its last leg and brings warmer temperatures with it. The average high temperature peaks at 78°F (26°C), while the average low temperature jumps ten degrees to 57°F (14°C). Nashville Weather in June: The month of June sees the most sunshine in the entire year with an average of 308 hours. High temperatures average at 86°F (30°C) to match the heat. The low temperature average is 65°F (19°C). July is the hottest month of the year with the average high temperature soaring to 89°F (32°C). The average low temperature peaks at 69°F (21°C). Nashville Weather in August: While the average high temperatures in August stay the same, the average low temperature decreases by a single degree making this month the second warmest in the year. In September, temperatures start to drop as fall begins. Expect an average high temperature of 82°F (28°C) and an average low temperature of 61°F (16°C). October is the driest month of year in Nashville with an average precipitation rate of 3 inches (77 mm). The climate continues to cool further with the average high temperature decreasing 10 degrees and the average low temperature sinking considerably to 49°F (9°C). Nashville Weather in November: Contrary to the previous month, November sees the highest precipitation rate with rainfall averaging at 4 inches (109 mm). The average high temperature decreases to 60°F (16°C) while the average low temperature goes down to 39°F (4°C). December marks the start of winter and brings the first of the season’s snowfall. Nashville averages an inch (3 cm) of snow in December along with an average high temperature of 49°F (10°C). The low temperature average is 31°F (0°C). The best time to visit Tennessee to enjoy festivals and outdoor activities is in the summer months of June through August. However, Tennessee can get quite humid and hot in the summer, so for those who can’t stand the heat, the best time to visit is during the cooler fall months of September through November. These months are also the best to avoid the crowds. Hiking in the Smoky Mountains is fantastic during October and November. One way to get to Nashville is by airplane. The Nashville International Airport is located less than ten miles from downtown Nashville. It is served by several domestic and several international airlines. There is no train to Nashville - Amtrak runs a service to Memphis, but it is a 200 mile drive from Memphis to Nashville. Greyhound offers buses from cities all around the country: the bus station is located on Eighth Avenue in downtown Nashville. Several interstate highways pass through Nashville: I-65 runs from Birmingham in the south to Louisville; I-40 runs east to Knoxville and west to Memphis; and I-24 runs southeast to Atlanta and northwest to St. Louis. There are several ways to get from the Nashville International Airport to downtown Nashville. There are about ten car rental agencies: these are located at the Rental Car Facility, a short walk from the terminal. The Metropolitan Transit Authority provides a bus service from the airport into the city. The Nashville Express Airport Shuttle provides transportation to the downtown area of Nashville. There are many other shuttle companies that operate out of the airport: some of these are shared-ride shuttles. Many taxi companies make the run from the airport to anywhere in the city. There are also many limousine companies from which to choose. Nashville’s Metropolitan Transit Authority (MTA) is a great way to get around the city if you choose not to drive a car. This transportation system consists of more than 46 bus routes and takes citizens and visitors to all the major tourist attractions as well as hotels and businesses. 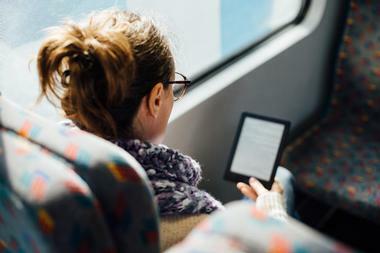 In addition to single fares the MTA offers all-day unlimited-ride passes. There are three free bus routes: the Music City Circuit, the Green Circuit, and the Blue Circuit. The Music City Star Commuter Rail runs a line with six stations between Lebanon (east of the city) and Riverfront Park in downtown Nashville. 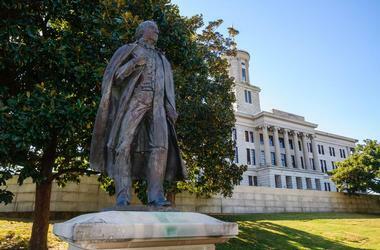 Nashville is spread out, so it is not a city to try to explore on foot. 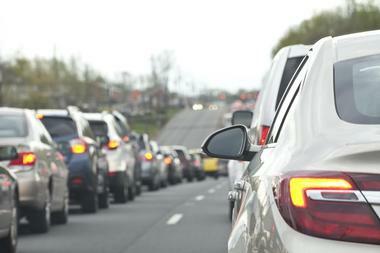 Driving a car is the best way to get around Nashville for some visitors. 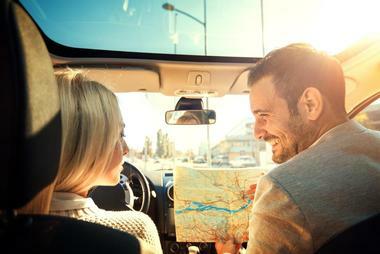 Having a car will enable visitors to explore tourist attractions and neighborhoods in areas beyond the public transportation systems. Many people rent a car at the airport in order to get into the city, and then use the car to get around. There are also car rental companies in the city. There are nearly 30,000 parking spaces in the downtown area so finding a parking place is not difficult. Many hotels provide free parking for their guests. There are taxis in the city: it is best to call ahead. Nashville has a wide range of restaurants for visitors to try. 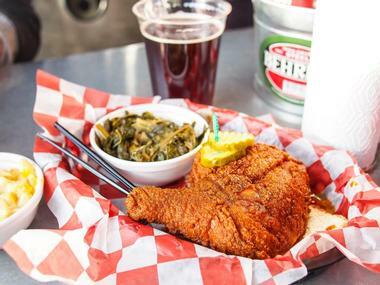 There are stereotypes about Southern cooking like chitlins and collard greens, but in Nashville you can try other Southern dishes or international cuisines at any of the many ethnic restaurants in the city. But while you’re in Nashville you should try some of the New Southern or New American cuisine. This is like California cuisine but made with Southern ingredients. In Nashville you’ll also find popular chain restaurants and lots of steakhouses: Morton’s of Chicago, Fleming’s Prime Steakhouse and Wine Bar, and more. Other places to try include Back Yard Burgers, the Cracker Barrel Old Country Store, and J. Alexander’s. 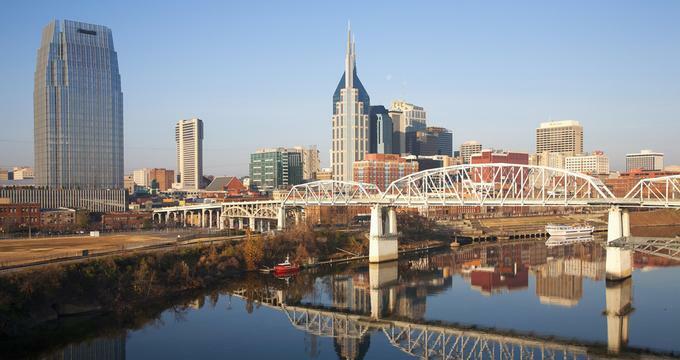 Nashville sits on the Cumberland River and the city and its neighborhoods have grown around the curves of this river. Downtown is full of attractions like the Country Music Hall of Fame, the Tennessee State Museum, the Wild Horse Saloon, and more. The Gulch is a neighborhood south of downtown: this former industrial area has been transformed into a hot spot with trendy hotels, clubs, and restaurants. Opryland is the home of the new Grand Ole Opry: it’s in the southeastern part of the city not far from the airport. Other neighborhoods include the West End, Franklin, and Brentwood with its shopping centers and factory outlet centers. Nashville is full of interesting and unique wedding venues so it is a popular place to get married. Hotels include the Double Tree by Hilton Nashville Downtown, the Hutton Hotel, the Sheraton Music City Hotel, and the Union Station Hotel. There are several old historic plantation houses that make perfect wedding venues such as Belle Meade Plantation and the Hermitage, which was the home of President Andrew Jackson. 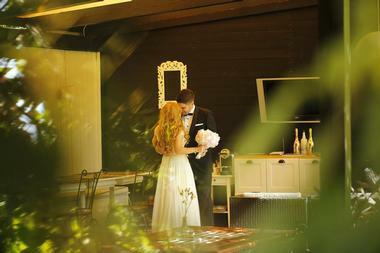 There are several other interesting wedding venues in Nashville such as the Noah Liff Opera Center, the Nashville Event Space, Cedarwood Weddings, Sambuca Restaurant, Vanderbilt University, Houston Station by Events Nashville, and many others. Because of it popularity with country music fans, Nashville offers a wide range of accommodations for visitors. There are luxury properties such as the Hermitage Hotel, the Hutton Hotel, and the Union Station Hotel, and the Omni Nashville Hotel. Downtown hotel room rates are generally higher than those at establishments outside of the center of Nashville. The West End has hotels that cater to visitors who enjoy good restaurants and trendy nightspots. Inexpensive rooms can be booked at some of the chain hotels in the major tourist areas like near the airport along Elm Hill Pike, as well as Music Valley northeast of downtown.